There is no luckier hat than than Cherry Hat because... Well, if you have played with the slot machine, you will know you want all cherries! That is the inspiration for this straw hat with lots of little cherries on top! Here is a good view of the top. 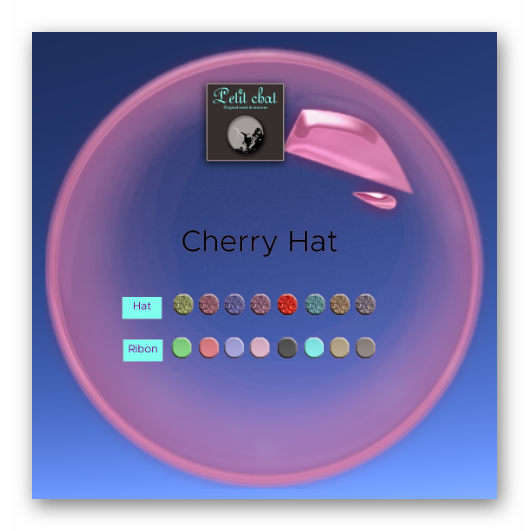 You can customized the colors of this Hat with the HUD similar to other newer products from Petit Chat. See those cute little line of cherries? 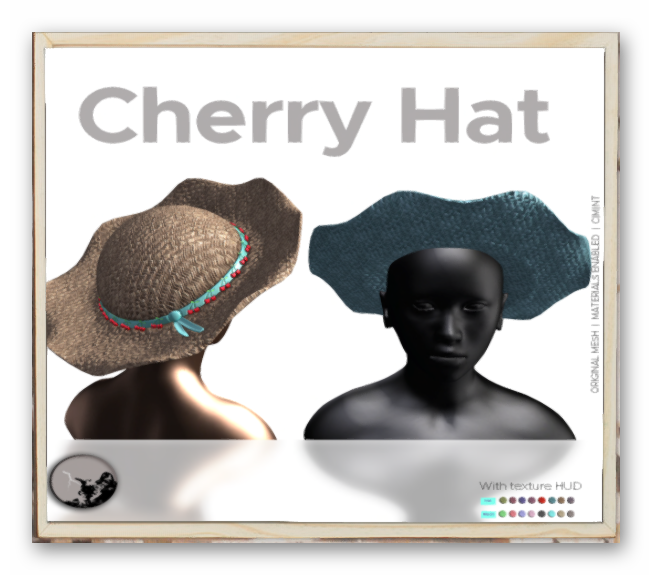 Now you know why this hat is called the Cherry Hat! The Cherry Hat comes with enough colors and combinations so that you do not have to repeat anything for the whole week! Isn't that every girls' dream? Well, you can live it now! Kitty did mention that this is a straw hat right? And you can see the detail texture of the straw right in this photo! Now you do not have an excuse to go out into the sun and have some fresh air!